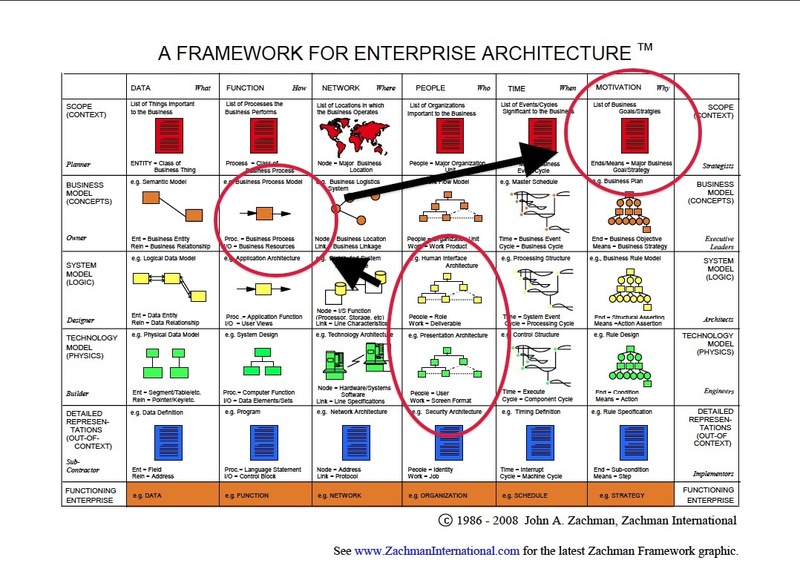 The last couple of weeks I have been working on applying the Zachman's framework for enterprise architecture to two projects. I have been struggling through the first row and then skipped around a bit. I think I have found the part of the project (any project) I am most passionate about.... Working with Human Interface Architecture and explaining it as a designer to the builder of the Presentation Architecture. In my mind this level needs to be closely related to the Business Process Model and to the List of Business Goals/Strategies. Each one of these file types has the flexibility to have various kinds of components. i.e. several channels of audio can be in the same file. Or one can have .wav files with different bit depths or sampling rates. But they are each a archive friendly format. Before one says that a file is suitable for archiving simply based on its file format one must also consider things like sample rates, bit depth, embedded metadata, channels in the file, etc. I was introduced to DOBBIN as an application resource for audio archivists by a presentation by Rob Poretti. One additional thing that is worth noting in terms of archival versions of digital audio pertains to born digital materials. Sometimes audio is recored directly to a lossy compressed audio format. It would be entirely appropriate to archive a born-digital filetype based on the content. 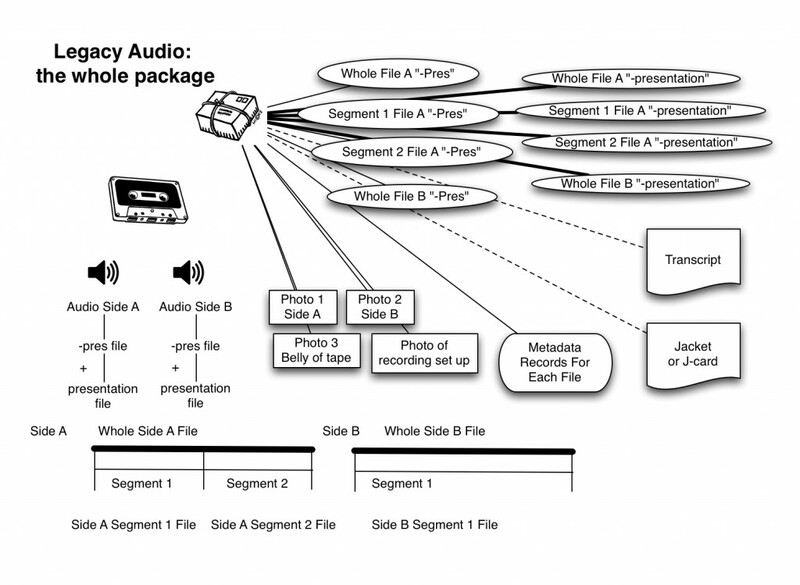 However it should be noted that in this case the recordings should have been done in a PCM file format. Within the same file type there might be a variation of quality of audio. For instance Mp3 files can have a variable rate encoding or they can have a steady rate of encoding. When they have a steady rate of encoding they can have a High or a low rate of encoding. WAV files can also have a high or a low bit depth and a high or a low sample rate. Some file types can have more channels than others. For instance AAC files can have up to 48 channels where as Mp3 files can only have up to 5.1 channels. One argument I have heard in favor of saving disk space is to use lossless compression rather than WAV files for archive quality (and as archive version) recordings. As far as archiving is concerned, these lossless compression formats are still product oriented file formats. One thing to realize is that not every file format can hold the same kind of audio. Some formats have limits on the bit depth of the samples they can contain, or they have a limit on the number of audio channels they can have in a file. 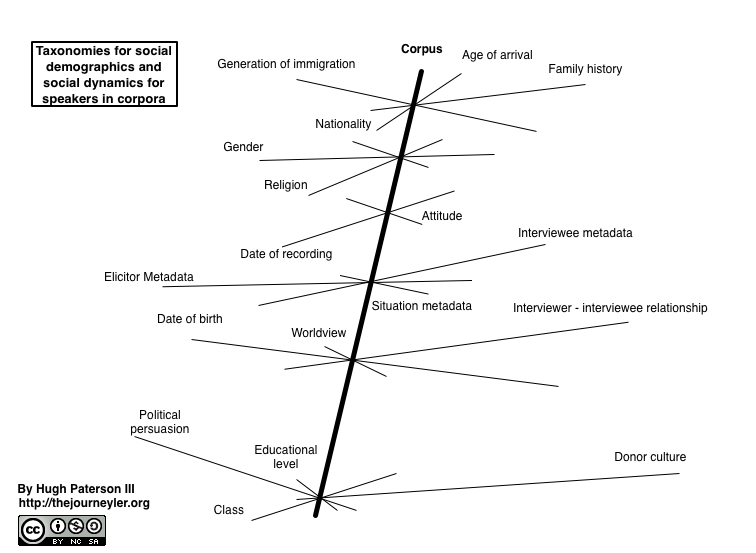 This is demonstrated in the table below, taken from wikipedia. This is where understanding the relationship between a file format, a file extension and a media container format is really important. MP4 is one such container format. Apple Lossless data is stored within an MP4 container with the filename extension .m4a – this extension is also used by Apple for AAC audio data in an MP4 container (same container, different audio encoding). However, Apple Lossless is not a variant of AAC (which is a lossy format), but rather a distinct lossless format that uses linear prediction similar to other lossless codecs such as FLAC and Shorten. Files with a .m4a generally do not have a video stream even though MP4 containers can also have a video stream. Audio files also very greatly on what kinds of embedded metadata and metadata formats they support. MPEG-7, BWF and MP4 all support embedded metadata. But this does not mean that audio players in the consumer market or prosumer market respect this embedded metadata. 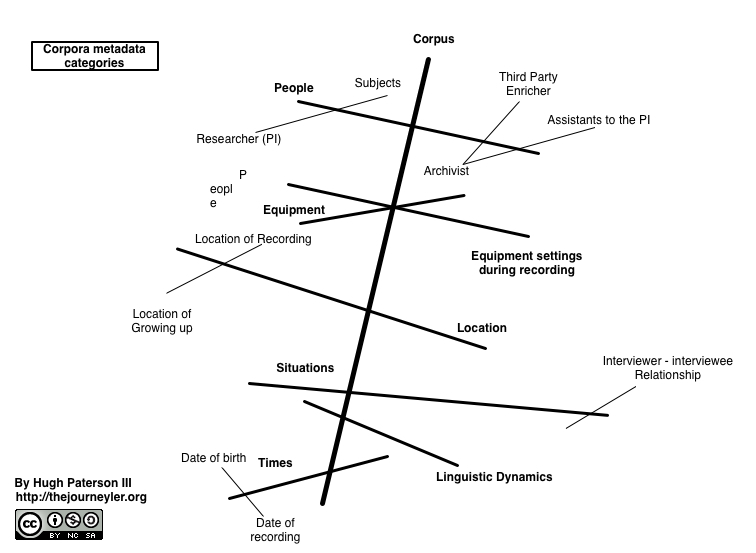 ARSC has in interesting report on the support for embedded metadata in audio recording software. Aside from this disregard for embedded metadata there are various metadata formats which are embedded in different file types, one common type ID3, is popular with .mp3 files. But even ID3 comes in different versions. I have recently been reading the blog of Martin Fenner and came upon the article Personal names around the world . His post is in fact a reflection on a W3C paper on Personal Names around the WorldSeveral other reflections are here: http://www.w3.org/International/wiki/Personal_names (same title). This is apparently coming out of the i18n effort and is an effort to help authors and database designers make informed decisions about names on the web. This past weekend I walked across the street from our house with Becky and went to an estate sale. In one of the rooms there was a stack of electronics. There on a dresser was a Reel-to-Reel machine in almost perfect condition. The week prior I had been working with some Reels of language data in the archive. We have two machines but one of them does not work completely. Some amazing stuff. So now it sits on my desk and I am using my Marantz PMD 661 to digitize all sorts of Reel to Reels. Today I was looking up this model online and found it on Ebay for $300 and in Germany on Ebay for 500€, not bad as I paid $35 for mine. I finally found the manuals online for Free! It seems that somebody is trying to sell print offs on ebay for $11 each. But here is what I found. One of my concerns is with the 30Hz playback. 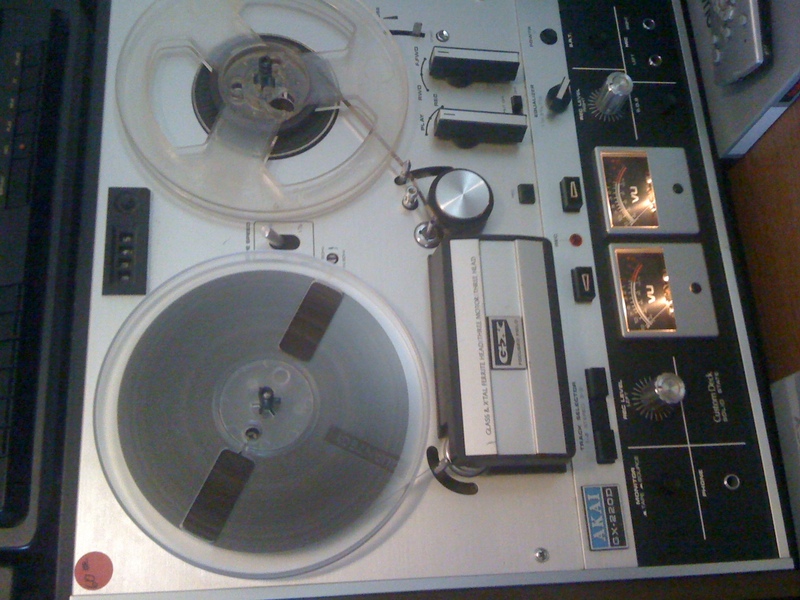 Was this standard for reel-to-reels or was there better recordings done but I will never know because of the model of playback machine I have? If they are magnetized will they erase my tape? How do I tell if they are magnetized? 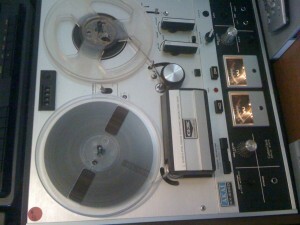 Here is a listing of Reel-to-Reel machines by AKAI. Here is a youtube video of the same model I have.